I'm so glad that you have taken such a big step together! 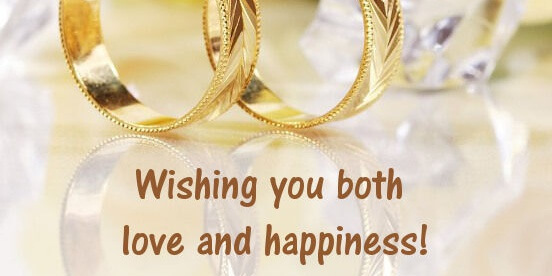 I pray and wish happiness for both of you on this special day of your wedding! Two very special people - one special day. On this beautiful and lovely occasion I wish you showers of love.